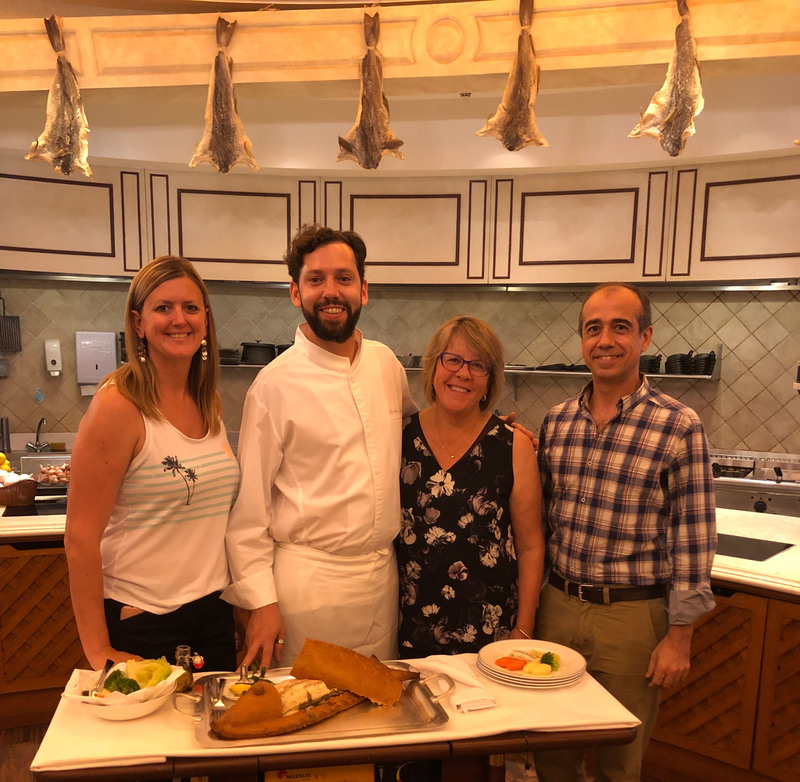 During our site visit to Macao, we asked Executive Chef Martinho Moniz, Vic’s Restaurante, to give us a Portuguese cooking lesson to get us ready for the World Forum in April 2019. We’re delighted that he agreed. Enjoy his preparation of Sea Bass Encrusted with Salt. We can attest that with some lovely Portuguese wine, this is a delicious meal. As you make your plans for Macao, we invite you to make a reservation at Vic’s Restaurante in the Rocks Hotel at Fisherman’s Wharf. Be sure to introduce yourself as a World Forum delegate and enjoy Chef’s personality as well as his cooking.